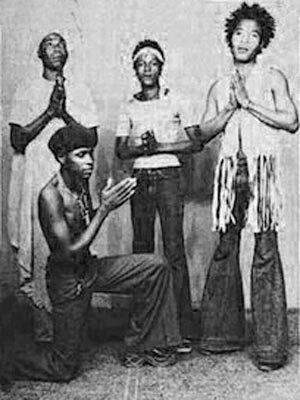 In the 70’s, following Zambia’s liberation and independence, a new rock movement began known as Zamrock, and one of the bands that would popularize the genre were the Ngozi Family. The group, lead by Paul Ngozi, mixed fuzzed out guitar riffs (there was heavy influence from American artists like Black Sabbath and Jimi Hendrix on Zamrock) and socially conscious lyrics. They were one of the most prolific groups of their era, though only their album Day of Judgement can be found on Spotify. The title track from the album, a call for peace and love with religious overtones, rides a riff that sounds eerily similar to Nirvana. “Let Me Know” is another stand-out, with Ngozi pining “please let me know what you think about me” to an unnamed lover. It sounds like the bedrock for a slew of indie rock songs you likely listen to today. Paul Ngozi passed away in 1989, but the music he and his band made left an impact on the musical sound of his country, and you’ll be surprised by how well it still holds up.